IDEM Regional Stormwater Specialists will continue to visit different parts of the State to audit MS4’s Construction and Post-Construction Stormwater Runoff Control Programs. A recurring deficiency that has been noted in previous inspections - and is expected to be addressed in future inspections - is whether MS4 staff responsible for plan review and erosion/sediment control inspections are receiving adequate training on an annual basis. If your MS4 needs help with this, consider having those responsible for plan review and inspection to view Wessler’s recent webinar, MS4 Training for Construction & Post-Construction MCMs 4 & 5. Don’t forgot to document the training with an attendance sheet. Staci Goodwin, IDEM’s MS4 Coordinator, recently conducted a series of audits in Southern Indiana, focusing on MCM 6 Municipal Operations Pollution Prevention and Good Housekeeping. Wessler has several webinars available to assist in getting your MCM 6 activities up to speed. Additionally, Ms. Goodwin continues to also evaluate MCM 1 Public Education and Outreach and MCM 2 Public Participation and Involvement during these audits. IDEM continues its iterative process with the Environmental Protection Agency to replace the existing permits by Rule. The new Construction / Land Disturbance Permit (currently known as Rule 5) that applies to constructions sites greater than one acre is the furthest along in the process, with possible implementation occurring in 2018. The MS4 Permit (currently known as Rule 13) is in the iterative process as well. A draft has been sent to the U.S. EPA, the State is awaiting comments. The consensus is that the new MS4 Permit will be more prescriptive than the existing Rule. This is being done with the thought in mind of leveling the playing field, ensuring that MS4s are being evaluated by the same standards across the State. The Industrial Stormwater Permit (currently known as Rule 6) will be the last of the three-major stormwater permits to be reworked. The consensus is that this permit will likely resemble the U.S. EPA’s Multi-Sector General Permit. 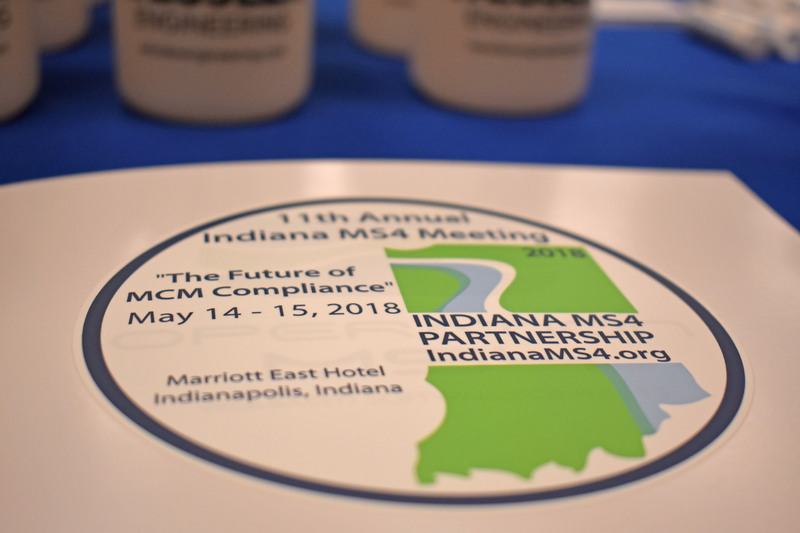 It was quite evident, through the collaboration of State and Federal Officials, the State’s designated MS4s, the consulting community and invaluable partnerships with various environmental groups and committees, that professionals continue to be hard at work to keep our waterways clean. This indicates a bright future for the State of Indiana!